In-house thermometer and probe calibration equipment gives your organisation the freedom to calibrate devices quickly and easily, reducing or eliminating any unit downtime. The products below have been selected for their accuracy, durability and ease-of-use. Our range includes the Lazaport 4 Calibrator, which provides heat source calibration for up to four devices. 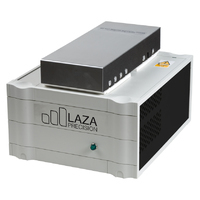 If you need more capacity, the Laza Precision Multiport Probe Calibrator can handle up to 12 devices, providing heat source calibration for thermometers and probes. 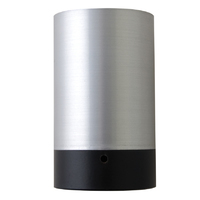 Additionally, it facilitates checking of infrared temperature probes to two temperature points. We also stock the ECVP100 Verifier (ATFX compatible) as well as the ECVA100 Verifier (ACFX200 compatible). Need advice? Don’t hesitate to contact our friendly team if you need help or advice on the most suitable purchase for your needs. 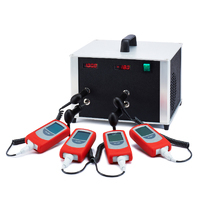 Heat source calibration verifier for up to 4 thermometers and probes simultaneously to 2 temperature points. 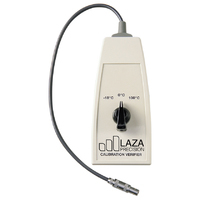 Heat source calibration verifier for up to 12 temperature thermometers and probes simultaneously and in addition allows for checking infrared thermometers to 2 temperature points. 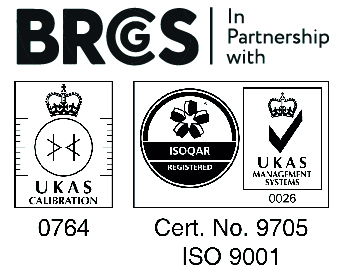 Calibration verifier (UKAS certificated) for checking accuracy of thermometer electronics. Compatible with ATFX series instruments. Calibration verifier (UKAS certificated) for checking accuracy of thermometer electronics. Compatible with ACFX200 thermometer. Widely used to check the accuracy of infrared thermometers against a certificated probe thermometer. No heat source or fluid mediums required.